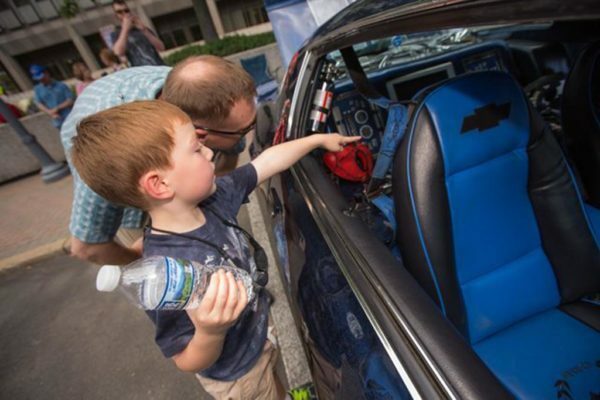 The fifth annual Father’s Day Auto Festival returns to Crystal City on Sunday, June 18, where a bevy of vehicles from sport cars to antiques will be on display. The family-friendly festival is from 2-6 p.m. at 220 20th Street S., and will feature a range of automobiles for viewing. Presented by the Crystal City Business Improvement District, the festival has a new partnership with automotive website Carsfera. The collaboration allows dozens of new cars to be added to the line-up. In addition to the display show, there will be other activities like a mini race car painting booth, a race track, moon bounce and live music. A Toyota Prius will also be on display for local artists to creatively paint throughout the event. The event is free to attend, and it is also free to register a vehicle to display, but online registration is required for the latter.